This review will help you choose the perfect camp stove for your favourite camping recipes for any off road adventure. When it comes to outdoor equipment, choosing the right gear can be hard. But don’t stress, we are here to help. Our series of review articles will aim to help you decide the best gear for your style of camping. First up, which camp stove is the right one for you? Well, it all depends on what kind of trips your going on. For most of us, going bush means taking the fourby, so bulky, heavy items like stoves aren’t a drama. 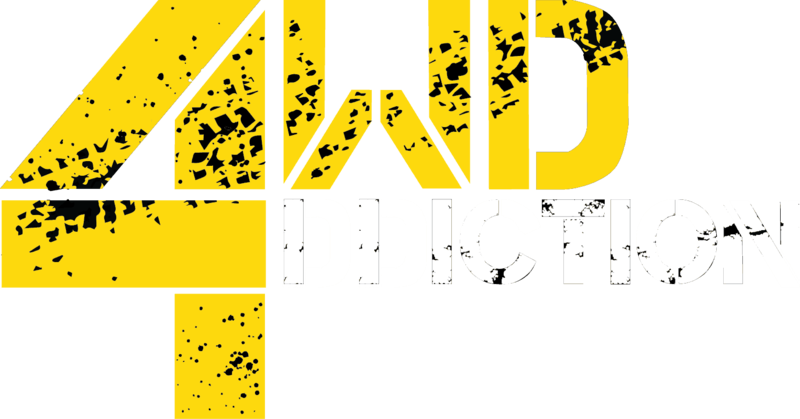 This list includes the four best vehicle camping stoves as rated by the team at 4WD Addiction – however if you are planning on a multi day hike (without the 4WD), make sure you check out our upcoming top stoves for backpack camping review. After reading this, you should have a pretty good idea of which stove is right for your trip, and any future trips down the track! 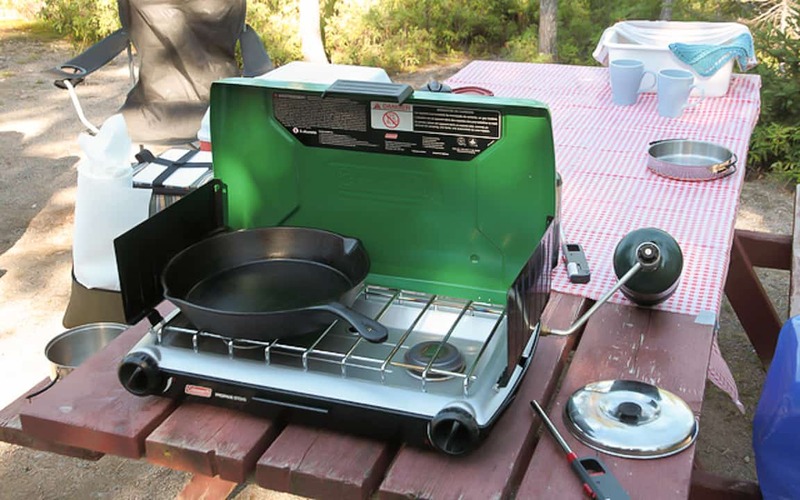 Nearly every major camping manufacturer has made one of these (because of their high popularity), however not all camp stoves are created equal, and can vary significantly between price and quality. The Coleman 2-burner Instastart is a great example of these stoves. The Standard 2-burner comes with – you guessed it – 2 burners (or gas elements) per device and have a great adjustable range, heating from simmer to high. The other great feature of these is their case, which folds out to create a convenient wind shield. Very handy for those breezy days (although if she’s blowing a gale they can still be a bit tricky to keep alight). Obviously like any stove, they need a fuel source. 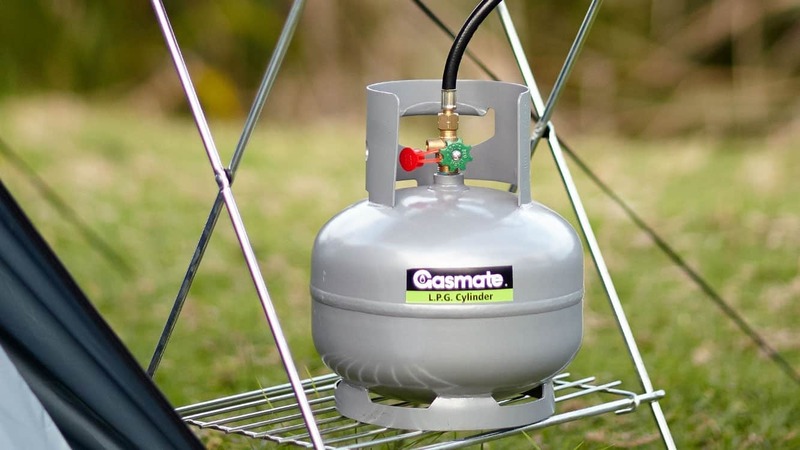 I reckon the Coleman propane gas bottles are great – large enough for a weekend trip, but small enough to keep a couple spare in the drawers. The other option is a larger LPG gas bottle, heavier and harder to pack but better for longer more remote touring due to their capacity and ability to be refilled. Who is this stove for? 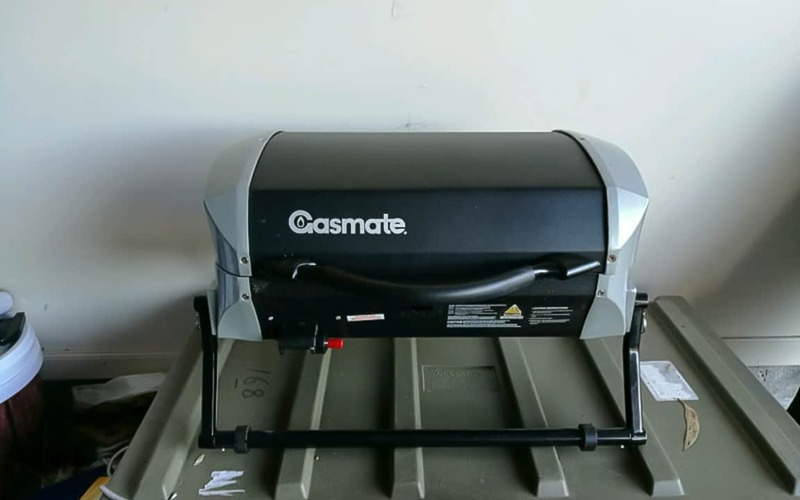 Because of their size (generally about as big as a briefcase), as well as their necessary external gas bottle, these stoves are best for vehicle camping – as all of this can take up a fair bit of space in a backpack! Unless your doing a long carry in from the car, you can’t go wrong with the classic 2-burner. If you’re looking for bang for your buck, then the butane single burner may be the perfect stove for the you. Depending on the brand, you can pick up one of these stoves for less than $20! Although it’s only a single burner, you can buy a second stove and still have only spent $40 bucks! These stoves rely on butane canisters – which are easy to find at most hardware or camping stores, however they don’t last very long (about 3 meals worth) so make sure you stock up with a couple of spares before you head off. In some regards, you get what you pay for, and the price of these stoves means you tend to miss out on a few features. Without a wind shield, the flames can get blown around, and make boiling time a fair bit longer, and the sensitivity for gas pressure can be pretty unreliable. Though these burners may not be the ideal choice for group cooking, they are convenient and well priced, great for singles or couples looking for a good match of price and functionality. 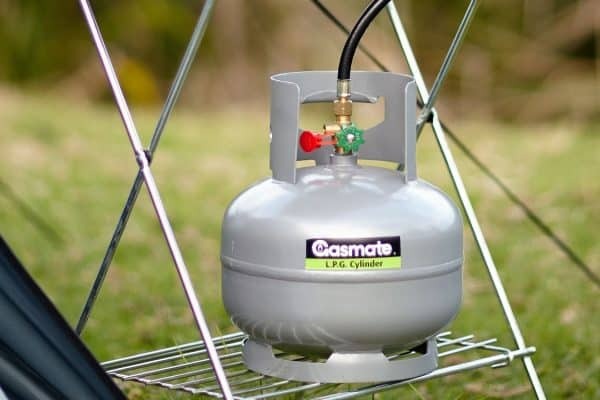 If your looking to cut down on your pots and pans, the Gasmate Cruiser is another great camp stove option. Portable, and big enough to fry up food for the whole family at once, this is a great option for groups of four or more. Better still is the non-stick hotplate, which makes cleaning up a near-enjoyable experience! Easy to use adjustable controls, and even a warming rack, this stove has just about all the features you can think of, and certainly has what you need to cook up a storm after a good days touring. 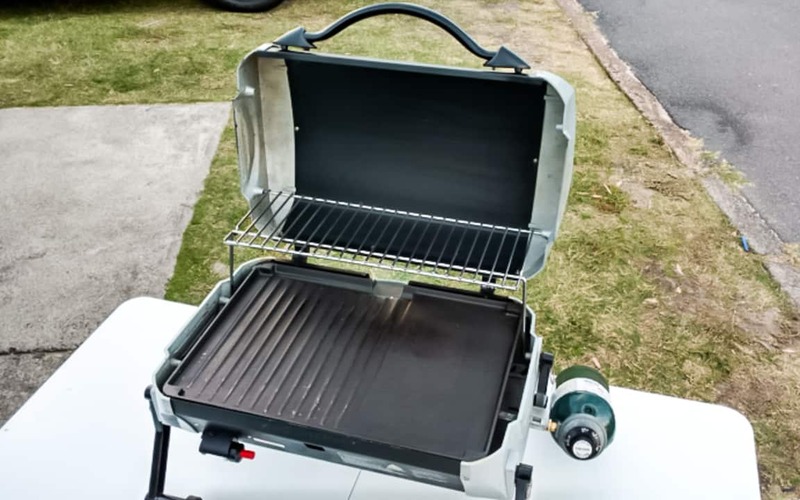 Coming up at the larger end of our list, this stove is only really suitable for vehicle campers, with a bit of extra room in the 4WD, and is best used for groups of 2+ campers. 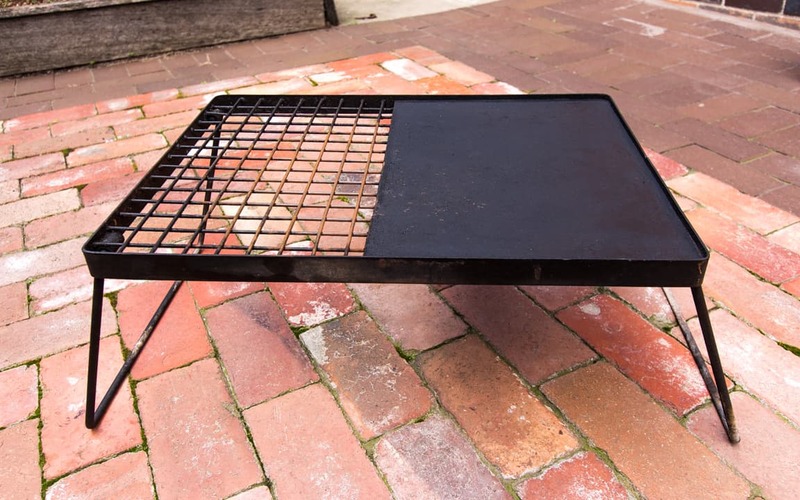 Though bigger and slightly heavier than the rest of the stoves here, this is a great buy for camping entertainers – families, picnics, anything where you have a few more mouths to feed! My personal Favourite, the “Hillbilly hotplate” has saved me from many a long hungry night. 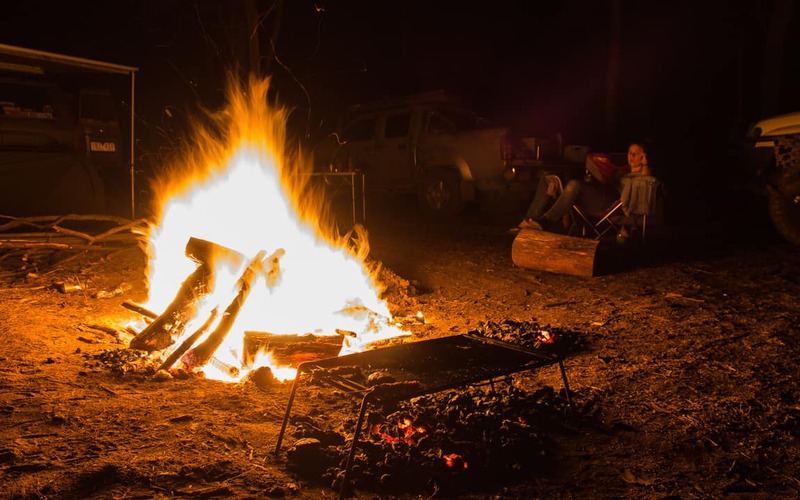 Though many established camp sites have fire pits and hotplates ready to go, there are plenty of spots off the beaten track that aren’t equipped – which is when you need to be. Rather than fuss about with gas, electrics, moving parts and any other nonsense, why not put it all aside and rely on the heat of your campfire? The good old-fashioned hotplate (which has a permanent home in my Patrol) gets cracked out at least once per day, when the fire is raging and i’m in the mood for a quick feed. 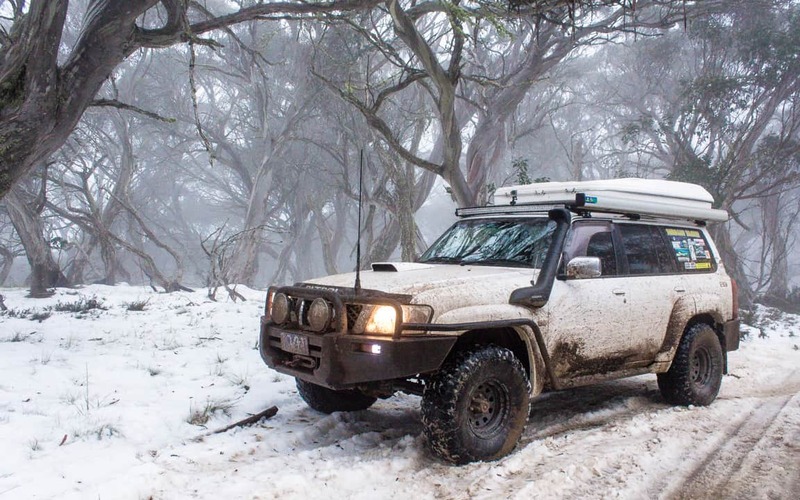 A cover/bag is an absolute must as well – unless you like the look of charcoal chicken all through your 4×4. A big heavy piece of steal is something I would recommend to any avid camper! If you love your campfires, you should own one of these. Total fire bans = no cooking! I would recommend this to anyone camping more than once a year! There are no consumables to pack or parts to break, just purchase your BBQ plate and your done. It’s that simple. 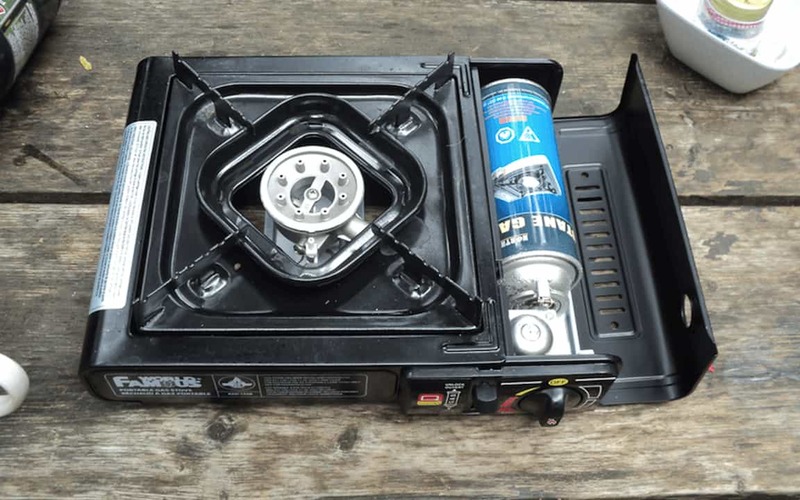 From the Single Burner Butane to the campfire hotplate, the team at 4WD Addiction have tried and tested a heap of different stoves for all kinds of camping needs. 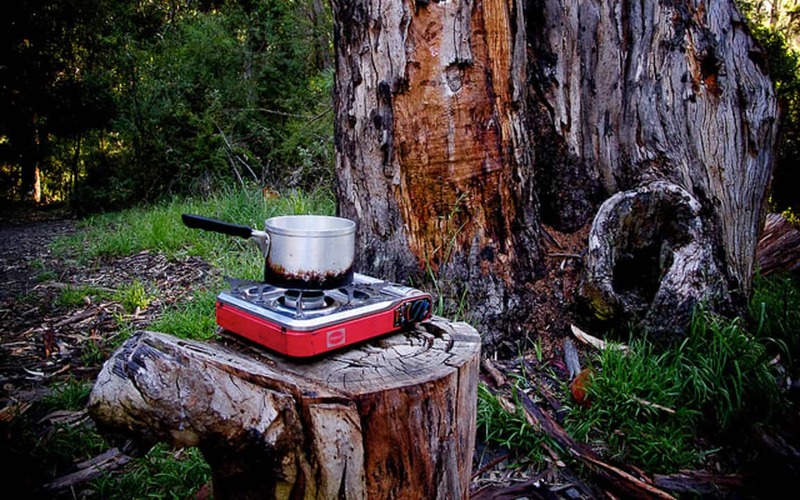 Hopefully this has helped you decide what’s right for your next trip, however if you are planning on a multi day hike, make sure you check out our “Top Stoves for Backpack Camping” review. Have some thoughts of your own on camp stoves? Let us know in the comments below.